Accommodation in Invercargill City Centre! 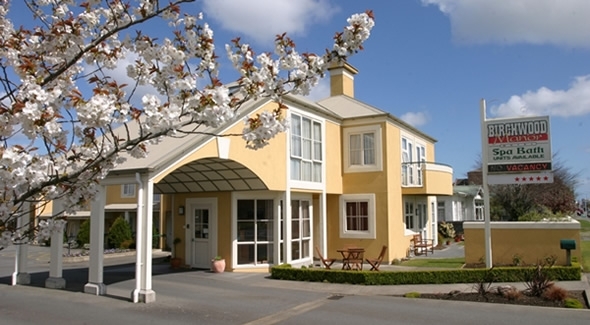 Birchwood Manor Motel is in an exceptional inner-city location, with charming decor and warm southern hospitality, and is popular award-winning Invercargill accommodation that's a great choice for enjoying that home away from home feeling. This modern architecturally inspired Invercargill Motel accommodation provides quiet, warm, spacious, affordable comfort in the heart of the city. Perfect for business travellers, family holiday makers and everyone in between, Birchwood Manor aims to meet all of your needs. With motel amenities such as high speed wireless internet, fully equipped kitchens in each motel unit, private balconies and much more - you're guaranteed a great stay here. Book online securely and enjoy the knowledge and expertise of our friendly staff. There are many restaurant and dining options close by or a little further with courtesy transport available, where we can offer full chargeback to your room. 2014 3rd Year in a row! Alternatively phone us on our Freephone number 0800 888 234 (NZ only) or 0064 3 218 8881 (international). We encourage you to book directly with us as we guarantee to equal or better any advertised rate on any other website without any booking fees (credit card fees may apply).